Since September, the public has been experimenting with an app that relies on the goodness of humankind. Called *impossible*, it leverages the idea of a gift economy through social media to grant wishes. Users interact by posting wishes—such as a desire to learn Spanish or to find a jogging buddy—and other *impossible* users who can grant those wishes based on skills and proximity connect to grant the wish. On March 5, the Berkman Center will celebrate the US launch of *impossible*. Joining us will be Lily Cole, founder of *impossible* and fashion model, actress, and social entrepreneur, Sir Tim Berners-Lee, Founder and CEO of the World Wide Web Foundation, Rosemary Leith, Berkman Center Fellow, Judith Donath, Berkman Center Fellow, Jonathan Zittrain, Director at the Berkman Center for Internet & Society and Professor at Harvard Law School, and moderator Urs Gasser, Executive Director of the Berkman Center for Internet & Society. In an interactive discussion, the group will discuss the feasibility of a social media platform that relies on themes related to human cooperation, reciprocity, and kindness. Read more about *impossible* and its origins in The Telegraph and Wired UK and of course, download it in the iTunes app store. Lily Cole is a fashion model, actress and social entrepreneur. An advocate for socio-political and environmental issues, she has employed technology, writing, filmmaking and public speaking as means to build awareness and encourage dialogue. Two years ago, she began developing impossible.com, a social network that encourages users to exchange skills and services for free in the hope of encouraging a peer-to-peer gift economy. Tim Berners-Lee invented the World Wide Web, an internet-based hypermedia initiative for global information sharing. 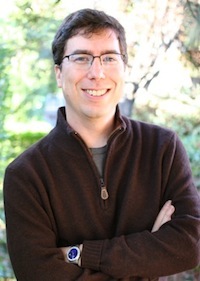 He is the 3Com Founders Professor of Engineering in the School of Engineering with a joint appointment in the Department of Electrical Engineering and Computer Science at the Laboratory for Computer Science and Artificial Intelligence (CSAIL) at the Massachusetts Institute of Technology where he also heads the Decentralized Information Group (DIG). 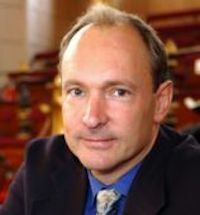 He is the Director of the World Wide Web Consortium (W3C) and of the World Wide Web Foundation, launched in 2009 to coordinate efforts to further the potential of the Web to benefit humanity. 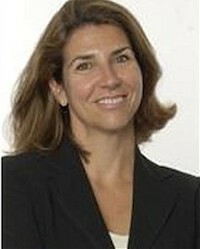 Rosemary Leith is a Fellow at Harvard’s Berkman Center, where she works with Berkman’s Internet Robustness team, and acts as a Director of Herdict. She is one of the Founding Directors of the World Wide Web Foundation, a non profit founded with Tim Berners-Lee to bridge the digital divide by maximizing the impact of the Web on health, education and democracy working with underserved countries and communities to make them full members of online society. 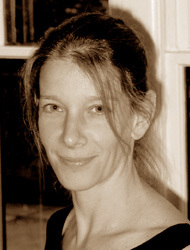 Judith Donath synthesizes knowledge from fields such as urban design, evolutionary biology and cognitive science to build innovative interfaces for on-line communities and virtual identities. A Harvard Berkman Faculty Fellow and formerly director of the Sociable Media Group at MIT Media Lab, she created several of the earliest social applications for the web and her work with the Sociable Media Group has been shown in museums and galleries worldwide. She is the author of The Social Machine: Designs for Living Online (MIT Press) and is known internationally for her writing on identity, interface design, and social communication. She is working on a book about how the economics of honesty shape our world.